To understand exposure in photography it helps to have an understanding of film speed. Ah yes! I remember hearing about film. That's what they used to put in cameras in the old days! Yep, it's true. 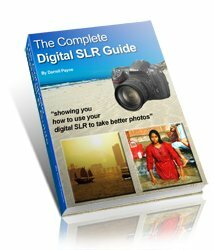 But many of the photography terms we used in the old days have been transferred to digital photography. We don't put film in cameras any more, but understanding film speed will help you to understand exposure, and that will help you to take better photos! There are three things that can affect the exposure of a photograph. ... and the film speed. Go back to my understanding exposure home page for more on shutter speed and aperture. For film speed . . . read on! To help you to understand exposure, even with a digital camera, you need to first go back to the days of film. What happened was this . . . you put film into your camera, you started taking photographs. When it got a little darker (or maybe you went inside) you opened up the aperture and used a slower shutter speed. This helped let in more light from the scene. But there was a problem. As it got darker still, and you had already opened the aperture up fully, and already lowered the shutter speed to as low as you dared go . . . then what? Give up and go home? No way! Simply load a film into your camera that had a higher film speed. Actually, I've made that sound a bit simpler that it really was. 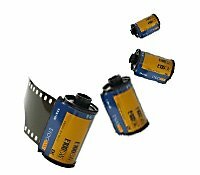 Before you could load faster film you had to either use up what was already in your camera, or rewind the film (and sacrifice the frames you hadn't yet exposed), and then put in a fresh film that had a higher speed. A few times I was actually able to rewind a film, leave the tab poking out (easier if you had manual rewind as you could feel when the end of the roll was nigh! ), and then I reloaded it another day - taking care to fire off the first frames with the lens cap on until I got up to the point I'd left off at. So anyway, what was "film speed"? It's a measure of how sensitive film is to light. The "faster" the film, the more sensitive it was. The "slower" it was, the less sensitive it was. The sensitivity was measured by the worldwide ISO standard. Fast film was considered to be anything that was ISO 800 or above. Slow film would be ISO 100 or below. So what did all those numbers mean when it came to film speed? Well, the number related directly to how sensitive the film was to light. The most common type of film by far was ISO 100. That was the film almost everyone loaded into their compact cameras. ISO 100 film was sensitive enough for taking photos in normal lighting conditions outside, and was OK inside with a flash. ISO 200 was exactly twice as sensitive to light as ISO 100. ISO 400 was twice as sensitive again. And ISO 800 was twice as sensitive again . . . you get the picture! Film speeds went up to ISO 6400 – incredibly fast film! Using this film would allow you to take photos indoors with no flash and just a few candles for light. Why not always use a high film speed?